The print industry lost a legend last month. 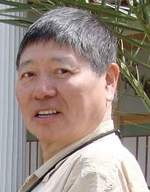 Charlie Ying, and his company Atex, revolutionized prepress and changed the industry forever. Andy Tribute offers these memories of one of the great innovators of our industry. There are some people whose vision and skill can change industries, and recently we lost one. Charlie Ying died last month from lung cancer at the age of 63. Charlie together with his brother, Richard, and friend, Doug Drane, founded Atex the company that did more to change the operations of the world's newspaper industry than almost any other company. (Some of the following content is taken from the obituary in the Vail Daily, where Charlie lived). Charlie was born in September 1946 in Chongqing, China. He is survived by his older brother, Richard, and two younger sisters, Liza and Julia. His family left mainland China for Hong Kong in the 1950s, and Charlie and his brother, Richard, were sent to Switzerland to study at the technical institute in Zurich, also known as ETH. After a long overseas journey from China, 15-year-old Charlie discovered that his parents had been unaware of the mandatory age requirement of 18 for admission. While patiently taking classes that were to help him gain future admission, he learned of a school on the East Coast in the U.S. that took students at 16, if they passed the entry exam. Both Ying brothers applied to M.I.T., passed the exam and were accepted. At the time, they had no idea how prestigious M.I.T was or how attending there would change their future. In a record two years, Charlie got his BS from M.I.T and later added his MS in electrical engineering. He also obtained an MBA from Harvard while in the midst of co-founding his own company, Atex Inc., in 1973. At the time newspapers were still using letterpress printing presses, and hot metal line casters for creating galleys of type, and journalist and editors were writing their copy on typewriters. Charlie formed Atex with his brother and a third M.I.T. graduate Doug Drane to improve the writing and editing process, Together, from a room the size of an attic, they built and sold their first computer publishing system using video terminals linked to a small DEC PDP11 computer to replace the typewriter and linecaster approach to newspaper publishing. From there it was on to The New York Times, Wall Street Journal and L.A. Times. Soon, most newspaper in the country and many around the world used Atex or similar technology. In 1983, Atex had become so successful that Eastman Kodak acquired the company. After selling Atex, Charlie continued to nourish his entrepreneurial spirit by founding an investment group with like-minded Atex alumni who would consult and assist fledgling high-tech start-up companies and even brought his own pet project to life, MyFonts.com. He served as president and CEO of Information International in Los Angeles and Bitstream Inc. in Cambridge, Mass. Computers were his hobby, his passion and his life. His understanding and appreciation of technology no doubt came from his engineering background and his gift of understanding how hardware systems operate. Charlie had the ability to look out several years into the future and see the culmination of current trends. I first met Charlie when he was at Atex and I was trying to sell him on the concept that Atex should push newspaper pagination as my company, Monotype had the first page page imagesetter with the Lasercomp, and we needed systems to drive it. I found him a great character and very friendly, as well as being a real technical genius. I continued to see him for many years after he had sold Atex and always found him great fun to be with. He was always a real gentleman.While his real interests in life were the businesses he supported and his community work, he was also a dedicated skier, windsurfer and scuba diver. The world of publishing and printing will miss his intellect, enthusiasm, passion and above all his friendliness.